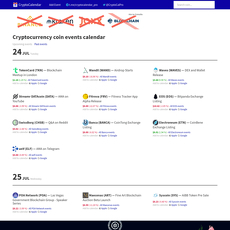 Coins Calendar is a basic cryptocurrency calendar which lists upcoming events. 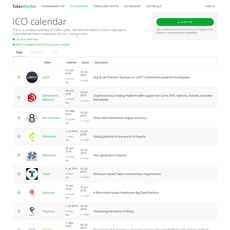 Coins Calendar has been established since 2015. 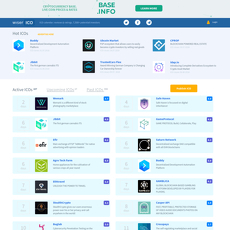 It is similar to CoinMarketCal in the manner that events are posted and users vote on whether the event is real or fake. However, it appears that there are not enough votes being cast to determine the legitimacy of the event. 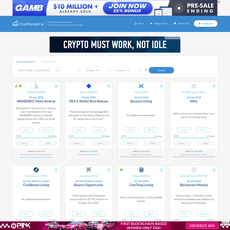 Where there is over a thousand voting on many events on CoinMarketCal with the figure being shown, it appears that the events on Coin Calendar are only being voted on by a small number of users. 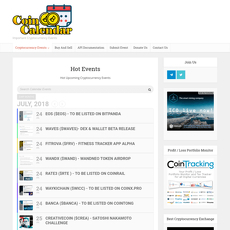 Coins Calendar also have a Twitter and Telegram where users can also keep up to date with upcoming events. 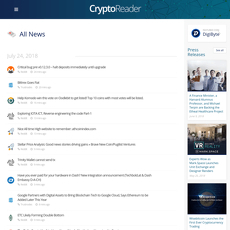 The calendar covers all important events such as software developments, forks, coins being added to exchanges, mainnet launches, airdrops, burns, events and conferences, ICO's, and more. Users can easily add an event by filling out a straightforward form. Users can also create email alerts to notify themselves about newly added events in certain categories. The user interface is very basic and there are limited features when compared to competitors.